The marketing profession is changing. 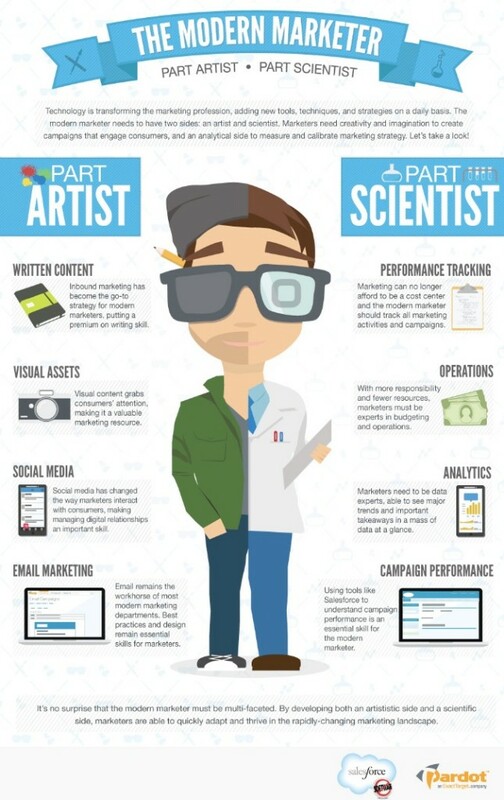 Check this cool infographic about what’s required, today, to work as a 2013-marketer: Part Artist, Part Scientist. This entry was posted in Business, Business Plan, Marketing, Social Life, Social marketing, Social Media, Social network and tagged marketing, sales, SalesForce, Social marketing, social media, Web marketing. Bookmark the permalink.